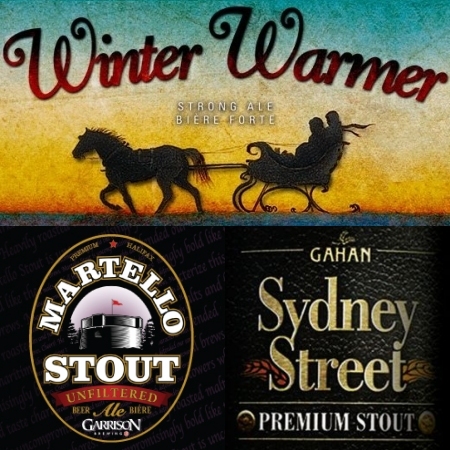 FREDERICTON, NB & HALIFAX, NS & CHARLOTTETOWN, PE – Three breweries in the Maritime provinces have announced the release of special seasonal releases for the cooler months. Our interpretation of the English barley wine is a big, strong hug of a beer. The intense alcoholic warmth sneaks up on the drinker, who is simply enjoying this beverage’s fruity nose, malty sweetness and mahogany hue. Martello Stout is uncompromisingly bold like the unique towers which once defended our maritime shores.Heavily roasted malts characterize this darkest of traditional brews. The 5th Gahan Ale to be bottled and distributed by the PEI Brewing Company, Sydney Street Stout is full-bodied ale with roasted barley overtones and a dark creamy head. For distribution and availability details on these beers, see the brewery websites linked above.